60 Years Of Minnie The Minx. Minnie the Minx is the third longest running Beano character, behind Dennis the Menace and Roger the Dodger. Minnie was initially created and drawn by the legendary Leo Baxendale (creator of The Bash Street Kids, Little Plum and The Three Bears). Minnie‘s first appearance in The Beano was issue 596, dated 19 December 1953. Minnie shows some respect for her creator. When Baxendale left The Beano in 1961, 28 year old art teacher Jim Petrie took over drawing duties on Minnie The Minx. 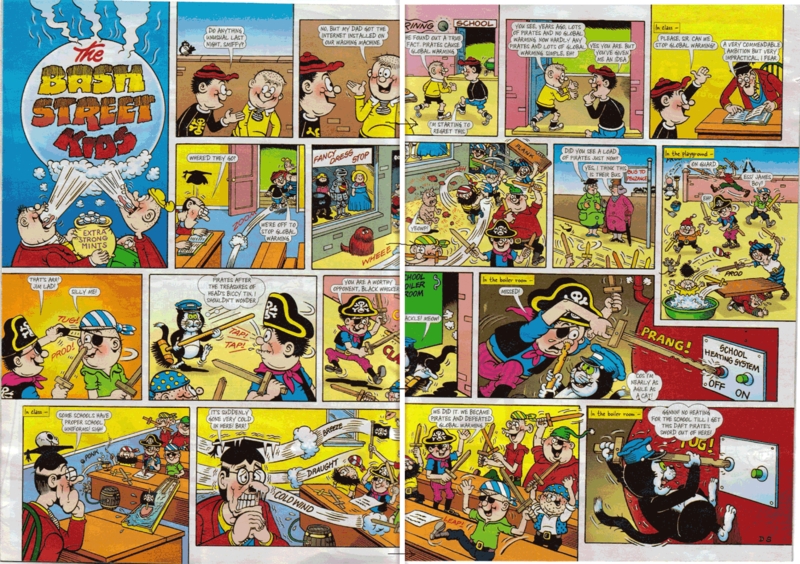 40 years later, on the 13th of January 2001, the final Jim Petrie Minnie The Minx strip was printed in The Beano. Jim had notched up exactly 2000 strips for Minnie between 1961 and 2001, the second highest single artist run for a strip behind Dave Sutherland’s Bash Street Kids, which he has drawn for over 100 years. Well, not quite, but I bet it seems that long to him. In the final Petrie Minnie strip she meets up with the artist and bids a (sort of) fond farewell after minxing him. Jim himself can be seen assuring readers they’ll enjoy the “new artist”, Tom Paterson (of the insanely excellent Calamity James). Tom’s Minnie was a very different character, and went through quite a few changes. Her parents seemed to foster her out to Sweeney Toddler‘s parents for a while and she ditched her red striped jumper for a yellow one. She was going through that difficult phase that all 50 year old children do, the mid-life crisis. Tom’s gloriously gruesome take on Minnie The Minx. Desperate Dan artist Ken Harrison took over the strip in 2008, reversing much of the changes and bringing the character back to her roots. The red jumper returned and with it came new writers and an invigorated strip much closer to the Jim Petrie era. In late 2012 Minnie was passed over to Nigel Parkinson, who draws it to this day (alongside his drawing duties on Dennis The Menace). Minnie celebrates her 60th birthday with her fellow Beano chums, care of Nigel Parkinson. In late 2013 this run of excellent artists was finally put to an end when, on the eve of Minnie‘s 60th birthday, a terrible artist was given the chance to ruin the character for everyone. Drawing ‘Breaking Dad’, in which Minnie manages to injure her long suffering dad every week, was nothing but an unadulterated pleasure for me. 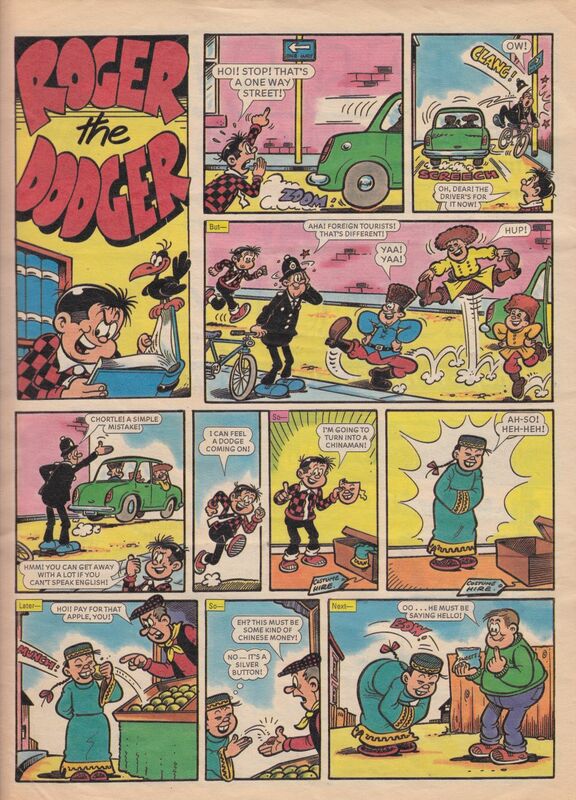 Artists often talk about fulfilling childhood dreams, and working for The Dandy & The Beano has certainly been that for me – but drawing Minnie The Minx is the absolute high point. I honestly can’t think what could top it. See Minnie The Minx in The Beano every Wednesday, available at all good newsagents, WH Smiths, Sainsburys, Asda, The Co-Op and the little corner shop on Winter Road, Milton, Portsmouth (just up from The Shepherd’s Crook pub opposite Milton Park). As It’s Halloween it seems like the perfect time to talk about ‘ghosting’. Though it sounds like some sordid thing involving ghoulies, in the comics world it usually refers to drawing in the style of someone else. Something that can be very hard to get right now that so many artists have their own style. Aside from a few character cameos in Justin Beaver, my first proper ghosting work was It’s A Blunderful Life in The Dandy, which featured the World’s unluckiest boy, The Beano‘s Calamity James. James is one of the hardest characters to draw as Tom Paterson‘s intricate style is, like Leo Baxendale and Ken Reid‘s before him, extremely hard to recreate naturally. I gave it a good go, but Paterson’s manic lucidity still somewhat eluded me. It’s very much a character in his style sitting in a puzzle in my style. It’s A Blunderful Life: Calamity James & Alexander Lemming braving a festive failure. A month or so ago I had another attempt at drawing a Paterson style James puzzle, and got much closer this time by spending a very long time image sourcing and pouring over his work. I found a whole strip set in space, as was the puzzle, and copied and adapted images from it to suit the puzzle. I’m very proud of the final piece, but I wouldn’t do it again. In fact I ditched another Calamity James puzzle, ‘Wheel Of Misfortune’, shortly after because I couldn’t face it! Intergalactic Idiot: Calamity James gets lost in space. Ghosting is extremely hard to get right, there are some fantastic artists out there who can ghost with such accuracy that you can hardly tell it’s their work, but sometimes (as in Jamie Smart’s Roger The Dodger) it is best to ignore the original art style and draw your own. Drawing in another artists style can inhibit what you can do with a character, unless you are willing to take liberties (I always draw The Bash Street Kids in Baseball boots, as I simply can’t draw shoes like Dave Sutherland). The problem with Calamity James is that the art is so recognisable and weird that if you were to draw the character in any other way it just wouldn’t be Calamity James. Bash Street Kid: Danny wearing baseball boots in Canteen of Carnage from The BeanoMAX. I’ve been lucky enough to get to drawn most of The Beano‘s familiar characters in puzzles over the past year, everyone from from Dennis The Menace to Little Plum. I can’t tell you what a thrill it has been getting to draw all my favourite childhood characters and having to ghost so many of my favourite artists. Some I found easier than others though, Dave Sutherland’s Bash Street Kids are fairly easy because you have 50 years of reference material to look at. Barrie Appleby’s Roger The Dodger was the hardest for me, due to his complicated shirt and hair. Beano Brawl: The Bash Street Kids, Calamity James, Billy Whizz, Minnie The Minx & Roger The Dodger take part in The Great Beano Pancake Bake Off from The BeanoMAX. Ghosting is very much a skill, something I picked up from learning to draw by copying Jim Davis’ Garfield and later less successfully Bill Watterson’s Calvin & Hobbes. That’s essentially all it is. Copying. 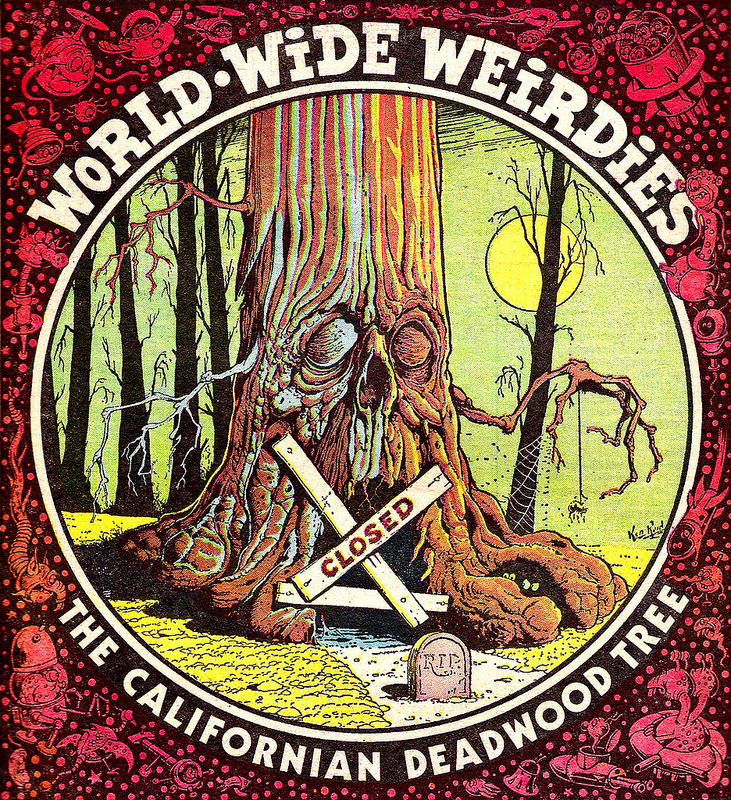 You can see clearly see both artist’s influences in this strip, A Bear Behind, from The Dandy. A Bear Behind: Background by Watterson, foreground by Davis. Sadly I didn’t get to draw any of the big characters for The Dandy, aside from a few cameo appearances and repeated sightings of Phil Corbett’s Korky The Cat, which I’ll blog about another day. So when The Dandy ended and they asked me to do two strips for the final issue: Auntie Clockwise (originally by Wayne Thompson, who draws Bananaman for The Beano) and Hamish the Haggis Basher (originally a one-off strip by Tom Paterson) I thought was the last time I’d ever have the chance to draw Dandy characters. Always keep a Dandy handy! The Halloween issue of The Beano is on sale from Wednesday 23rd October in WH Smiths, Sainsbury’s, Asda and all good newsagents, priced £2.